Prototype, refine, and ship your audio-experience in record time. 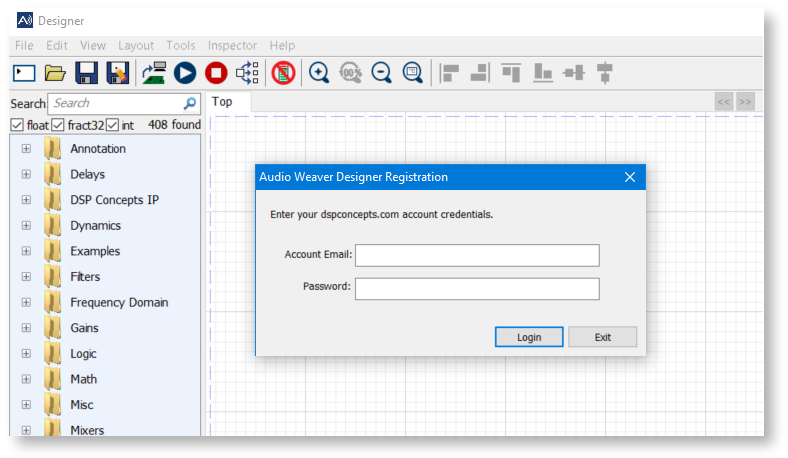 Unlike other graphical design tools, Audio Weaver® Designer does not generate C-code. 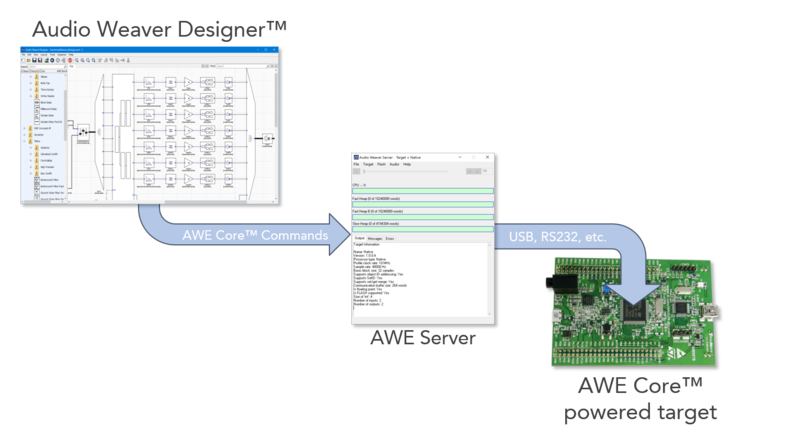 Instead, it configures the data-driven AWE Core™ using a set of tuning commands that's derived from your graphical audio-design. These commands completely define a signal processing Layout, including both the topology and initial tuning. At design-time, they're issued in realtime by Audio Weaver® Designer; when tuning is complete, the final set of commands is then exported and saved in your product for boot-time initialization of the AWE Core™. One can modify any aspect of the signal processing chain without ever having to rebuild the embedded executable. The decoupling effects of this are incredibly powerful. Audio Weaver® Designer uses dashed lines to represent non-audio data. 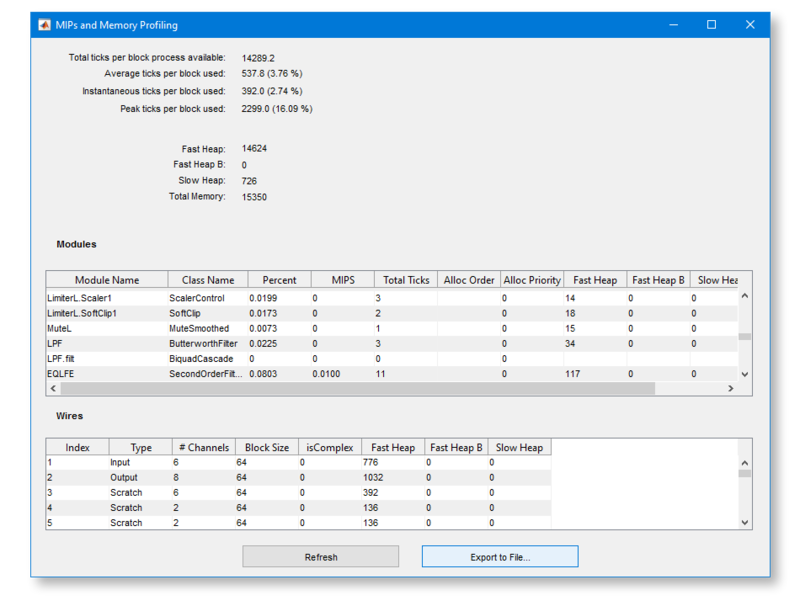 This Control data typically represents HMI settings, such as volume or balance, system-state, such as battery-level or engine-RPM, or derived values like RMS-level or event-detection flags. Source and Sink modules are used to exchange control data with the surrounding firmware. Once you have your layout in place, hit the play button in Audio Weaver® Designer to instantiate your system on the AWE Core™ and start listening. Double-click modules to bring up their inspectors; tuning changes happen live, in real-time. Trying to converge on a final tuning? Try putting a Multiplexor Smoothed module in for fast, clean A/B testing. 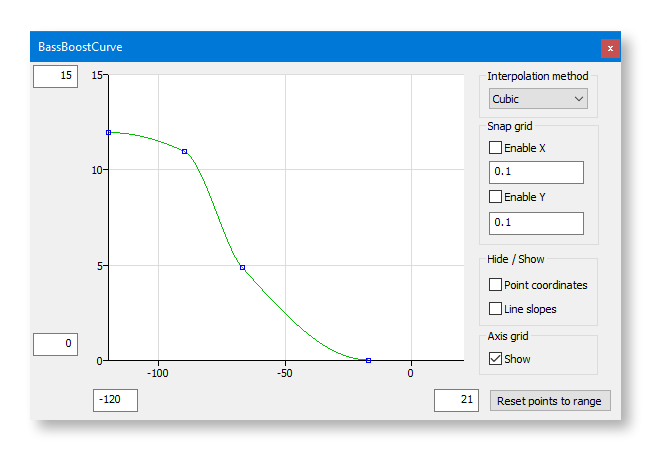 Modules like Table-Interpelation let you easily map and refine control signals. Easily make your product sound great at any volume level by creating a Fletcher-Munson dynamic EQ (boost the bass when the output volume is reduced). Or, convert your linear volume-knob into a tapered gain in dB to yield finer volume-control at typical listening levels. If you've made audio products, you know it can be time-consuming to track down unwanted audio artifacts. Put in some diagnostic code, rebuild the executable, load, set some breakpoints, run, and test; then [slowly] rinse and repeat. 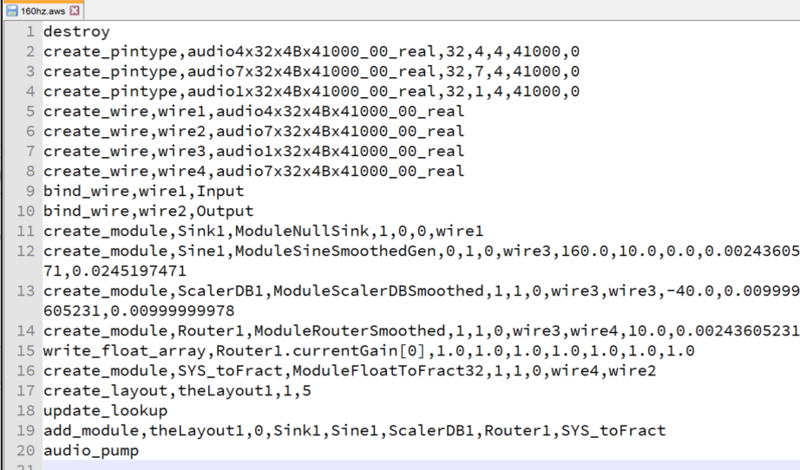 In contrast, debugging with Audio Weaver® Designer can happen without ever having to rebuild/reload/reflash the DSP's executable; embedded-audio debug has never been this fast or easy. • Connect a Sink module to any wire in your Layout and quickly inspect the audio. • Add a SineGen module and drive a known-good signal through. 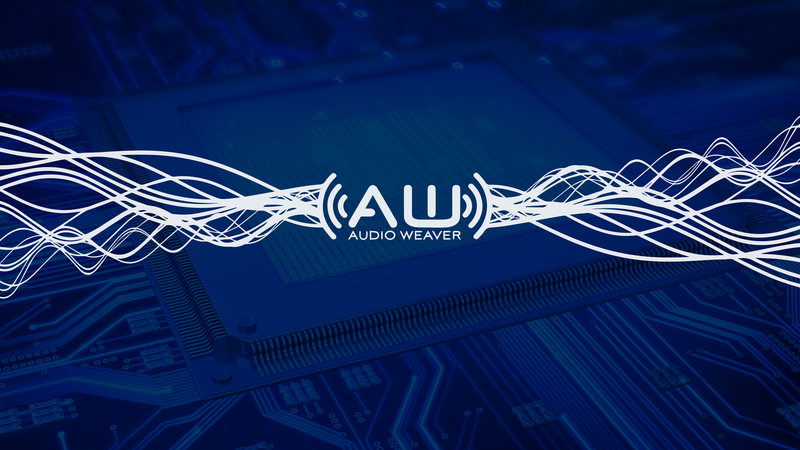 Through the tuning interface, Audio Weaver® Designer can query the execution time and memory usage of every module in your Layout. Export the data in .CSV format and gain new insight into the topology and efficiency of your audio processing Layout. Learn which subsystems are costing you the most MIPs and make informed tradeoffs. 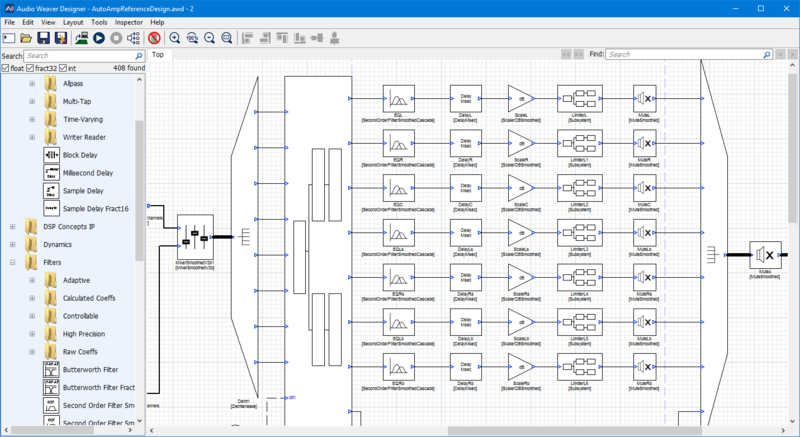 Try the same Layout on the eval-boards for multiple processors, and learn how much processing you actually need. Audio Weaver® Designer uses an online, account-based licensing system. This system gives developers the flexibility to use their Audio Weaver® Designer license on multiple machines. To allow temporary offline usage - in that hotel room, airplane, or remote site - Designer also has a built-in grace-period where it can operate for several days without an internet connection. Finally, for those rare circumstances where firewalls cannot be adjusted, limited, node-locked licensing is available to support permanent offline access. Audio Weaver® Designer is available in two primary editions, Standard and Pro. The Standard Edition includes everything necessary to prototype, refine, and ship your audio experience. 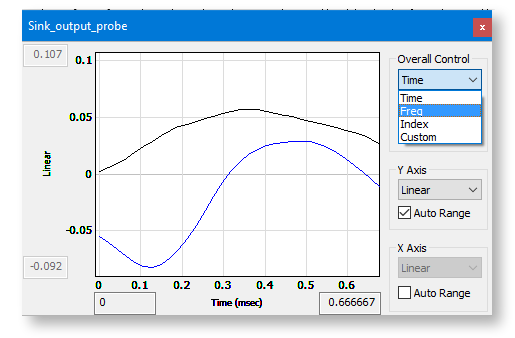 The Pro Edition is for Matlab™ users, and includes the Matlab™ Automation API, along with the ability to use Custom Modules. 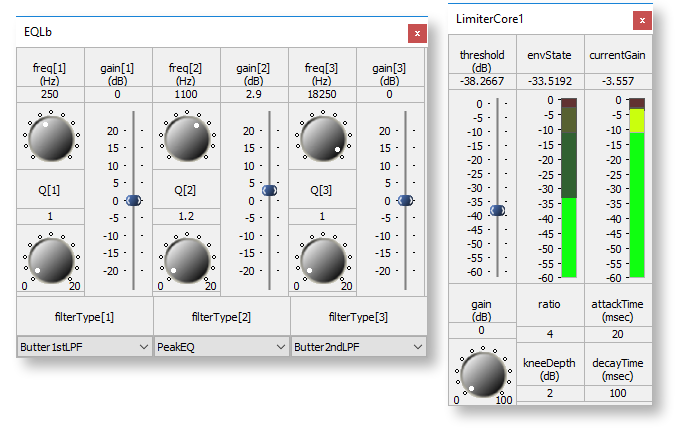 Note: The Audio Weaver® Custom Module SDK requires the Pro Edition. 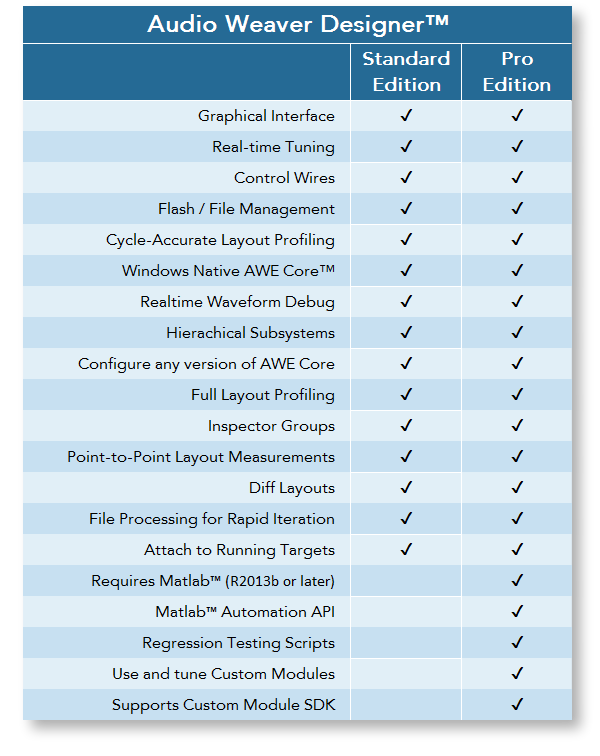 Any licensing of the AWE Core™ includes one free seat of Audio Weaver® Designer Standard Edition. Additional seats of Audio Weaver® Designer are offered on an annual, per-seat subscription basis. To get pricing info for your team and project, please contact us below!